Never mind the quality of the train service but instead take a look at the glossy publicity. 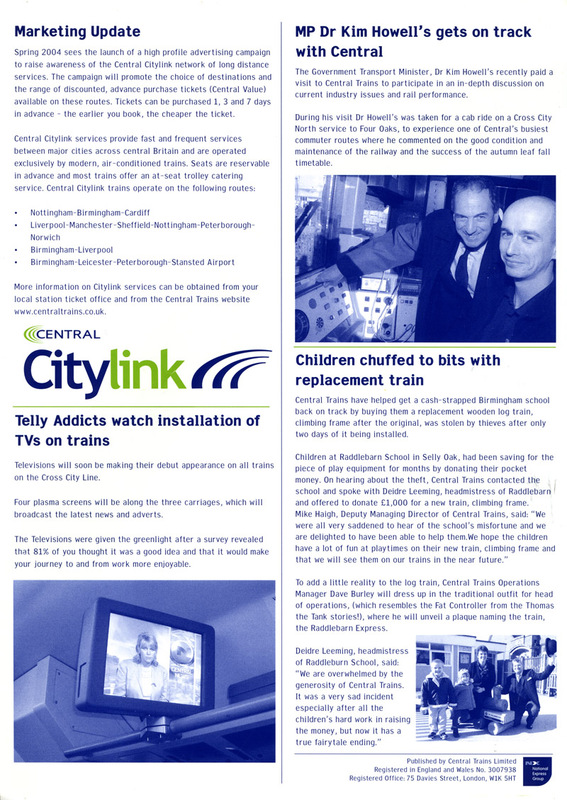 The Central Trains franchise lasted until 10th November 2007. The new operator was London Midland .